These two cuties are my nieces. 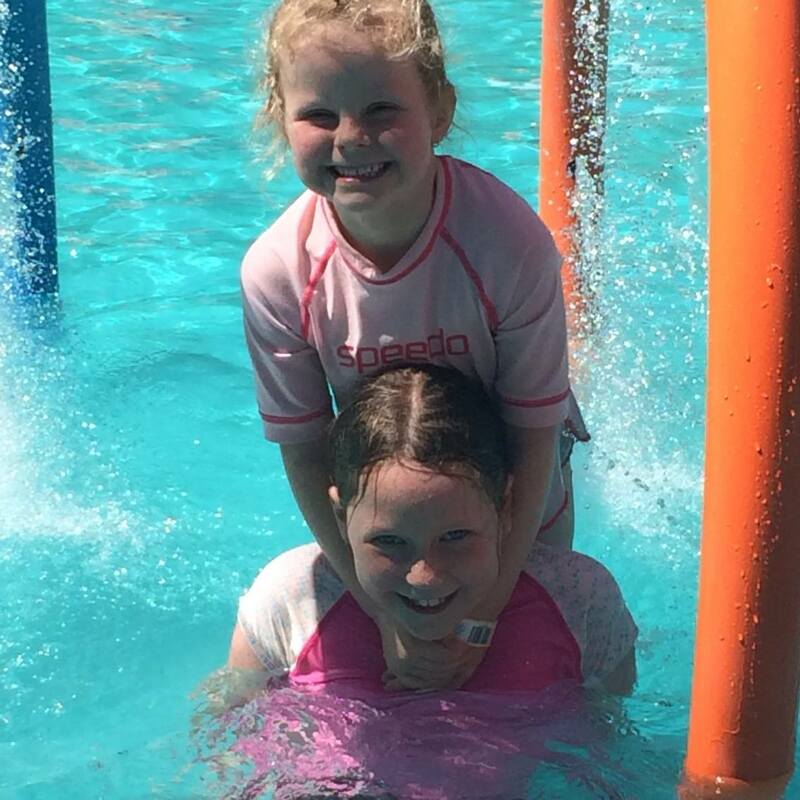 I think it’s fair to say I can safely assume they share my love of being in the water! I’ve been doing a bit of house-hunting lately. Sadly that seems to involve Saturdays which is a horrible clash with training. Someone should do something about that! This weekend I wanted to attend an auction. I was cutting things a little fine, but figured I could still train…until my bike battery went flat and I had to do a tricky jump start to get me to see the helpful guys at Battery World Tempe instead. With that out of the way, and an unsuccessful auction behind me, my friend Steph and I decided there was nothing for it but a trip to the beach. She’s moving back to the States this week (despite me not so subtle hints that she should stay) and this was a last-for-a-while visit to Bondi. Wowee! Bondi beach on a hot day on a long weekend is crazy-town! Let’s just say that there were a lot of people there. And all their friends and family. 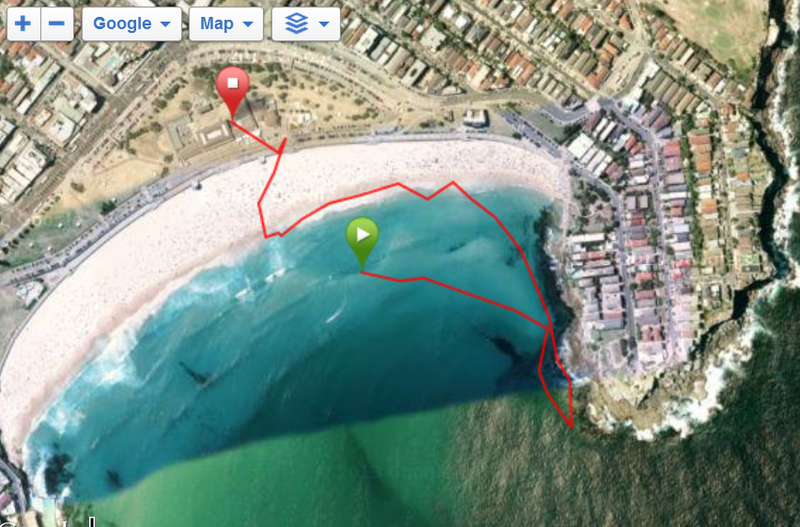 The main Bondi flags section was particularly packed and there were no waves at all, so we headed for the North end. There was a cute little break running off the bank. Perfect for catching a long ride into the shore! After a while, we retired to do the tourist thing and lay on our towels and read for a bit. It was different for me. As much time as I spend at the beach I really tend to send it in the water (or at the coffee shop afterwards), so lying on the sand to dry off is a bit of a novelty. Of course I realised the implications of this afterwards, in the locker room, when trying to dry off after a shower with a soggy sandy towel! Anyway, it was a fabulous day, wrapped up with raw vegan cakes and icecream and a fitting farewell to my scuba buddy and all-round top-chick…. Super-Steph! Not actually from the October Long weekend…. This year, with the whole broken ankle thing, I didn’t make the icebreaker challenge. Luckily, that doesn’t mean I had to miss out on the lovely lunch and celebrations yesterday! Such a lovely time in the sun with such lovely swimming friends! A big congratulations to all the 2013 Icebreakers! I’ll be up there with you next year! 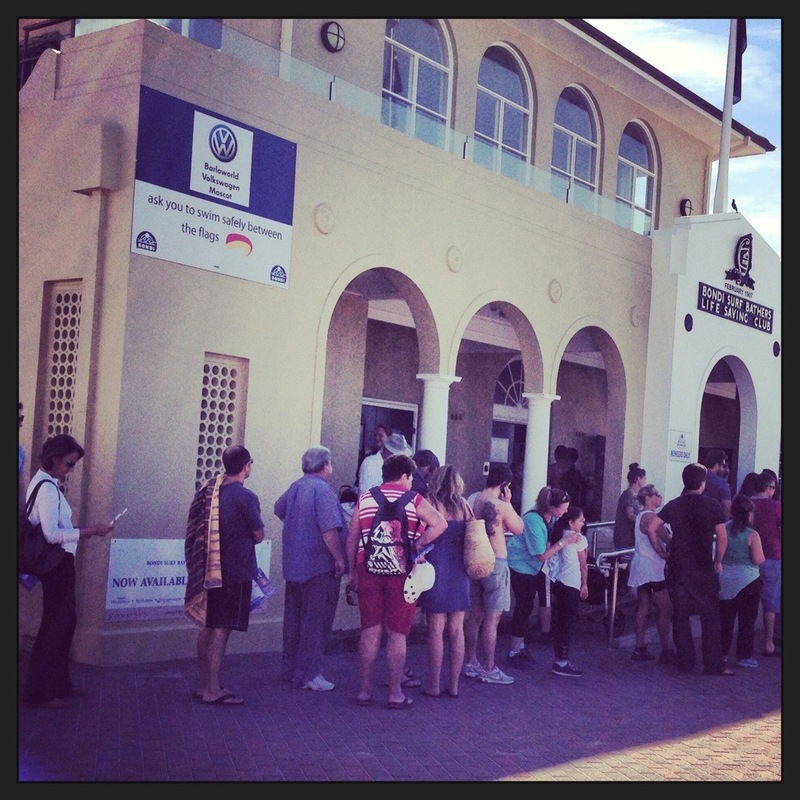 It’s Election Day today, and Bondi Surf club has turned poll booth. If you’re eligible, don’t forget to vote. And if you’re a reader here because you love the ocean, think about voting for a party that has a sound policy for looking after the environment. Winter swimming. Even in this conducive climate, most people think us ocean swimmers are nutters for heading out there every weekend (at least), rain, hail, shine and frosty water temperatures. Well, there are a whole lot of reasons we do it (hint: it’s awesome!) but for me, one of the most stunning things about winter swimming is the water clarity. It’s a bit hard to describe just how beautiful it is to swim in that water. Especially on those crisp, clear, sunny winter days. It’s also pretty hard to photograph faithfully, although I know I’ve certainly tried. Luckily for everyone, there are better photographers out there than me. One of the best, in my opinion, is the talented Bondi resident eugene Tan of Aquabumps. On top of taking the kind of photos I’d possibly trade a limb or a family member to take, he has some great techniques he uses to great advantage. 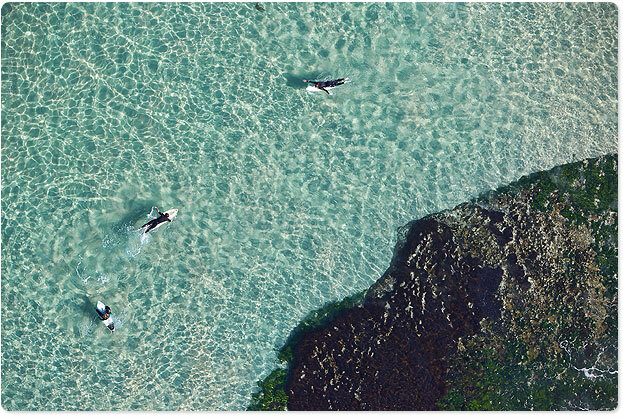 Like taking aerial photos of Bondi to stunning effect. I’m a bit of an addict of his daily email, but Wednesday’s really struck me as a brilliant example of just how clear that water is out there. Do yourself a favour and head over to check it out. Now tell me that doesn’t make you want to jump in for a swim. After operation return to swimming got me back into the pool, and back to 4SEASons, part 3 consisted of a couple of Tuesday night regular 4SEASons session in the pool. 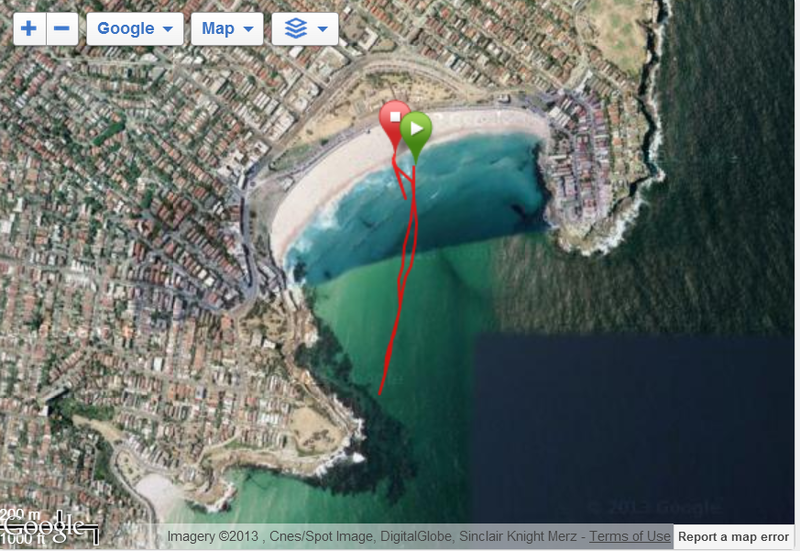 I continued to swim with the pull-buoy and band and with a bit of an assist to get in and out of the pool. Stock standard. Then finally, after 7 weeks a follow-up x-ray and yet another visit to the fracture clinic…the good news was in: I could take the bloody orthopaedic boot off! Unfortunately, there was still much work to be done to get enough strength, flexibility and stability back. The idea of walking on soft sand was pretty unthinkable for a while yet. I would have to be patient. Then finally 2 weeks ago, after lots and lots of physio and exercise, it was time! 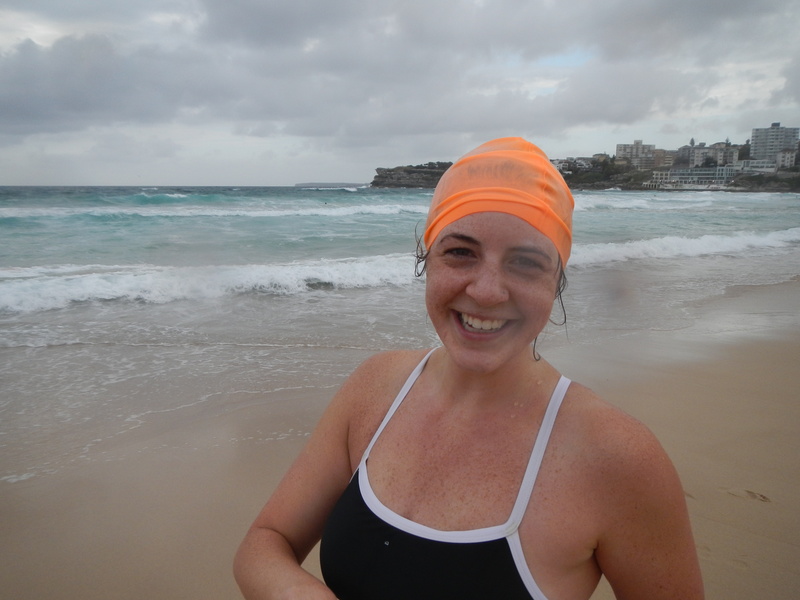 Part 4 of my return to swimming has involved getting back to my beloved Bondi beach and swimming in the ocean! 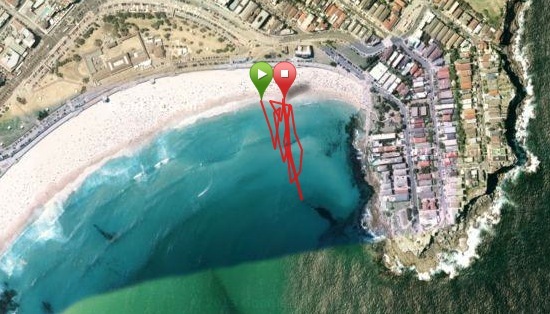 I have to admit I’ve chickened out and worn my wetsuit – the extra buoyancy (in my mind, at least) reduces the chance of coming down hard on the ankle. I’m still not up to running, let alone running on soft sand, and I lean on my lovely swimming friends as we head down the beach, just in case…. I’m not quite there yet, and I’ve obviously lost a bit of condition and fitness, but I’m back at the beach, baby, and loving it! Tamera’s Planks, pushups and crunches!